Parents and family members can be an important source of information, advice and networking contacts. Listen to your student – really listen – and learn what's important to him or her. Try to separate what you'd like to see your child accomplish from what he/she wants to do. Be patient with your child's timetable and rotating career ideas. Some will make career decisions during their sophomore year, others not until the end of senior year. Remember they are only choosing their first career. Most students will have several careers during their lifetime. Encourage your child to explore various career fields early and throughout their college career through informational interviews, volunteer work, part-time employment, and internships. Also encourage them to follow their “passion.” We can help students find this information and these opportunities. Motivate your childto become involved in several activities. Interpersonal, team, and leadership skills can be developed through participation in student organizations, clubs, and honor societies. 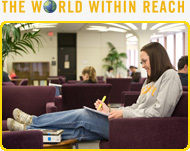 There are over 200 student groups at UAlbany! Educate your child about the value of networking. Help them meet people you know in careers that interest them to discuss “real world” job experiences. Networking can lead to internships and summer jobs. Career Services offers career fairs to connect students with employers and recommends that even freshmen and sophomores attend career fairs. Become familiar with current career planning and job seeking literature so that you can give tips to your son or daughter when they ask. You can discuss ideas with them, help them find information, and encourage a visit to Career Services! Get involved with Career Services. Contact us when your company has a summer, part-time or full-time job opening so that we can advertise it to our students. Encourage your child to get actively involved with on-campus recruiting and career fairs. Volunteer to speak to UAlbany students about your position and recommendations you have for those interested in traveling down a similar career path.